Since I live in Los Angeles, home to the stars, I thought it would be appropriate to write about gluten free celebrities. My friend Sarah recently tipped me off to another addition to our Celiac ranks: Scott Michael Foster, from ABC Family's Greek. I'm not a fan of Greek, but I understand that it is soon returning for another season. 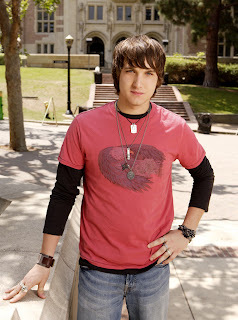 Check out the full article about Scott Michael Foster and his diagnosis as a Celiac here. As time goes on, we'll probably start hearing about more celebrities with Celiac disease. Hopefully it will help to raise awareness. I think Zooey Deschanel is another one with a gluten intolerance.